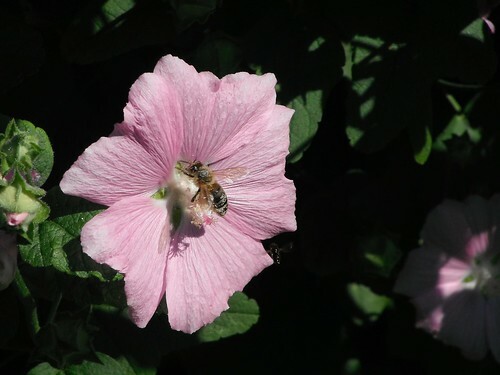 Our backyard hollyhocks were humming with activity this sunny August afternoon! There must be a hive within 3 miles of our place – maybe from the Nature Centre, just down the river. Someone did the waggle dance about our place!